The Nintendo 3DS is not a new platform. It does have a bunch of games, but even then, I can safely say this is the most screwed up character design the handheld has seen. 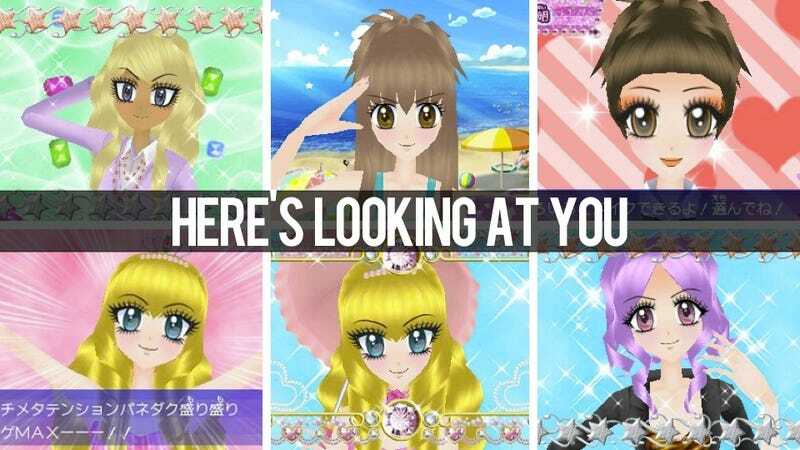 These faces belong to characters in upcoming 3Ds game Hime Gal Paradise, which like the manga it's based on features girls with HUMONGOUS EYES. Hime Gal Paradise? More like Hime Gal Hell.